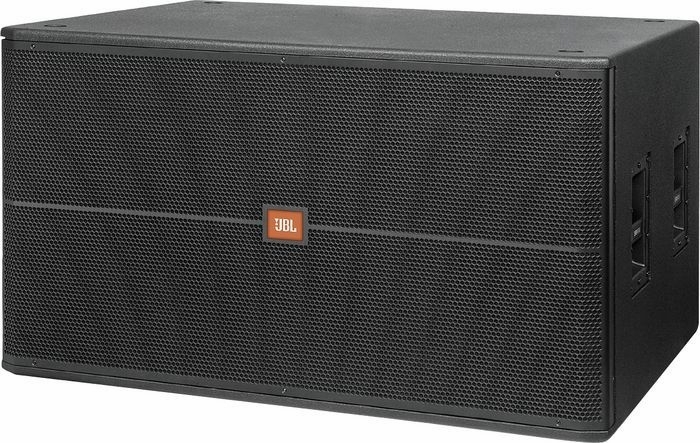 JBL SRX728S Series Loudspeaker DJParts - All Variety of Parts that DJ Needs. The SRX728S is buyilt to deliver smooth, clean, accurate low-end. A pair of 18" Differential Drive® woofers provide extension down to 27 Hz while handling an amazing 1600 watts of continuous power. Large, open ducts minimize port turbulance and the heavily braced enclosure assures tight, solid bass. An external switch allows the SRX728S to be used with cabling systems designed to power subs from contacts ±1 or ±2.